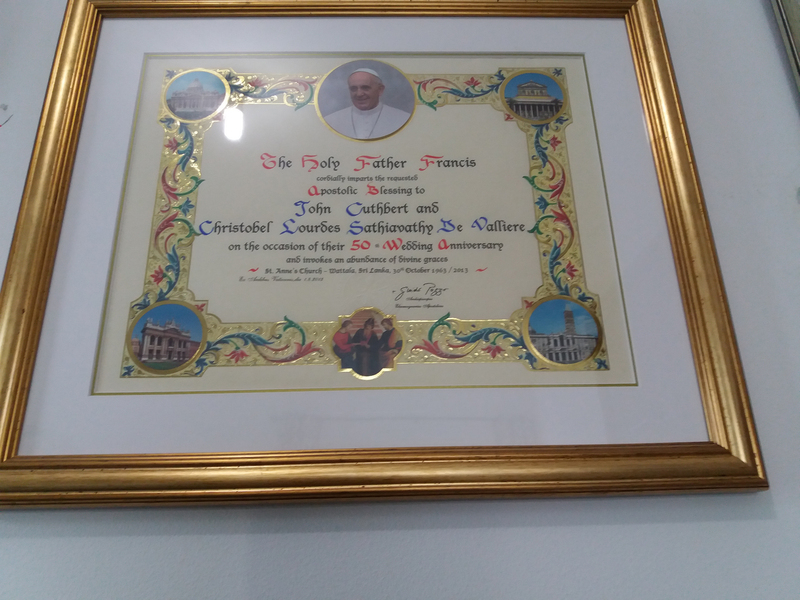 Tears running down his cheeks, Abu Dhabi resident John Cuthbert De Valliere received the personal blessings from Pope Francis. That is a moment he will never forget. 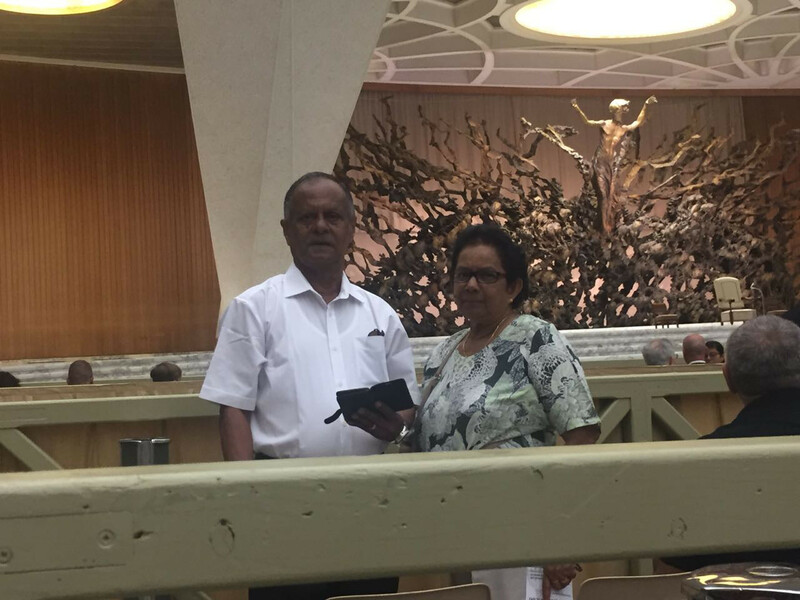 “I was shivering, I cannot describe the intensity of my feelings at that time,” the 79-year-old Sri Lankan told Gulf News. He and his wife, Christobel Lourdes De Valliere, visited the Vatican in August last year, with their family. While his daughters, sons-in-law and grandchildren stayed outside, he and his wife were taken in to see the Church service. “There was a very big queue of people waiting at the Church, but my son knew a Father there. 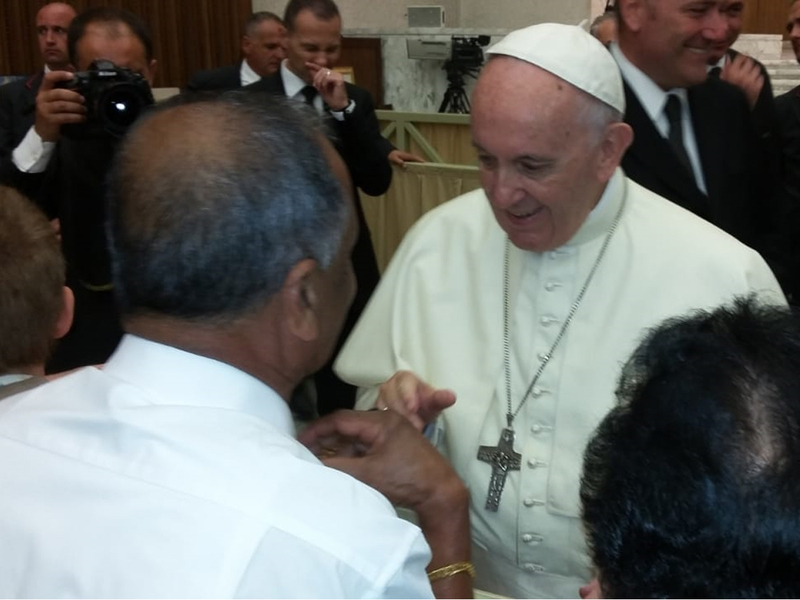 He told us to come and meet him in a certain place and then took us in to where the Pope was,” De Valliere said. “It was a surprise to us,” he added. 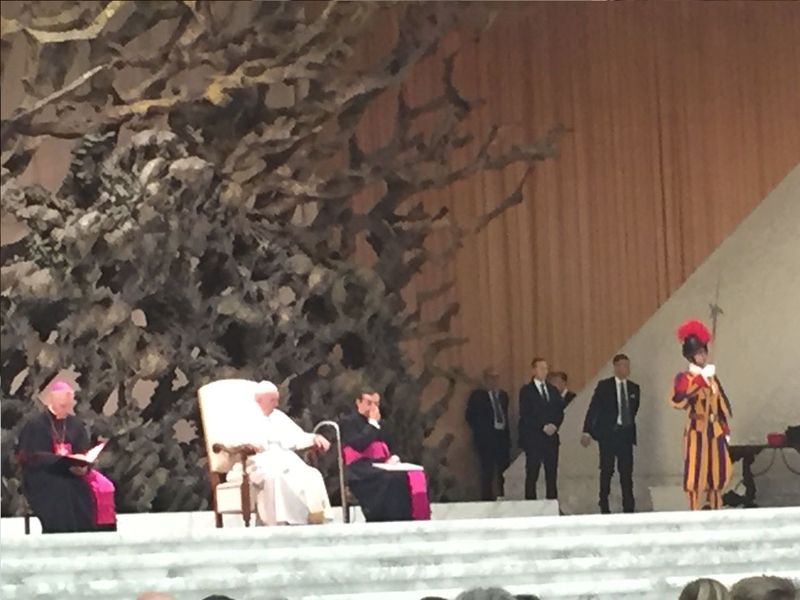 Waiting in the first row, looking at the pontiff on stage, their anticipation grew. Would there long-held desire to be blessed by the Pope come true? When he finally came to the few men and women gathered at the front, the two couldn’t be more excited. “My wife and I were speechless. It was not for a few seconds, he actually gave us an audience for a few minutes. I introduced myself and my wife, told him we were from Sri Lanka and this was completely unexpected, but our son had arranged our meeting with him. 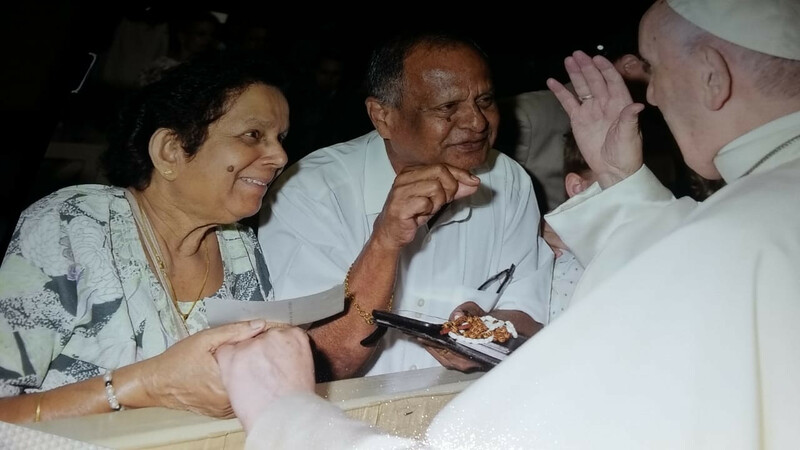 We had taken photographs of our family and got them blessed as well along with rosaries,” De Valliere said. He spoke about the humility and personal touch that was part of Pope Francis’ interaction with the crowd that had gathered. “When you look at him he is bowing down and giving you a hearing. Whatever we give, he blesses. One woman brought a lot of framed photographs, which he was blessing. She had lost her husband recently and it was a very touching interaction,” he added. Today, the De Vallieres are once again ready to see the Pope. With Pope Francis making his first visit to the Gulf region this week, he and his family of nine have gotten their tickets and are looking to meet him once again. The visit, De Valliere said, would be further testament to the tolerance of the country he has called home for over 30 years. “This visit will actually show the world what the UAE is, what we are talking about when we speak of tolerance,” he said.